As a trusted provider of training for some of the largest businesses in the UK, we have been asked by some of these businesses to be involved in and apply to support them and their learners with the delivery and coordination of apprenticeships. We are currently offering a range of specific programmes under the Level 2 Mineral Processing Mobile and Static Plant Operator Standard, providing a tailored, focused approach to learning. 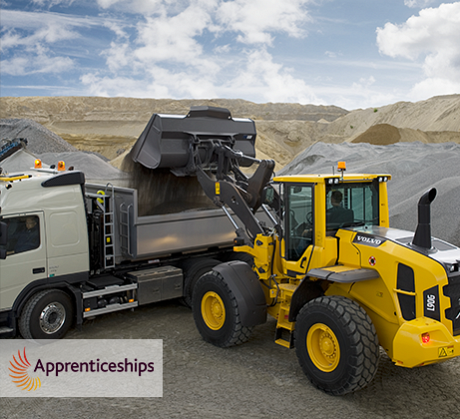 Apprentices will receive the highest quality training and experience allowing them to grow their skills, knowledge and understanding to competently operate mobile and/or static plant providing our apprentices with a strong foundation to develop their career within the mineral processing and associated industries.